Based in Glenwood Springs, Colorado, Ted Hess & Associates, LLC, is a full-service law firm, specializing in meeting the legal needs of the Latino community. Our practice areas include immigration law, criminal defense, employment law and family law. Our skilled and bilingual legal team has more than 50 years of combined experience in these fields. We have what it takes to protect your interests. 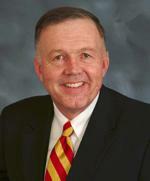 Our founding attorney Ted Hess is a decorated retired Brigadier General of the U.S. Marine Corps. He practiced law as part of the military for many years, both as a judge and as a top lawyer in the U.S. Marine Corps. He has argued significant military justice cases before the Court of Appeals for the Armed Forces, and he has represented the military in appeals cases before the U.S. Supreme Court. After completing his military service in 2000, General Hess moved to the Western Slope of Colorado and founded Ted Hess & Associates, LLC, a law firm that is committed to protecting the rights of immigrants. We not only help people with their immigration needs and other legal concerns, but have also sued law enforcement agencies, including U.S. Immigration and Customs Enforcement, when they have overstepped their boundaries and infringed on the rights of members of the Latino community. We specialize in the intersection of criminal law and immigration. If you have been charged with a crime, this can have serious consequences on your immigration status. It can lead to deportation. The reputable attorneys at Ted Hess & Associates, LLC, will do what it takes to help you resolve your case and remain in the country. Our legal services are provided for fair fees, and payment plans are available. Contact us to schedule a consultation in Spanish or English.